We’ve had some time now to reflect on Whittaker vs. Romero 2; the narrative getting a chance to congeal. Excitement and disappointment concocted to create a stellar piece of drama that night in Chicago. Whether you agreed with the decisions that were made, it’s impossible to argue it wasn’t an eventful weekend. First, let’s get our facts straight. 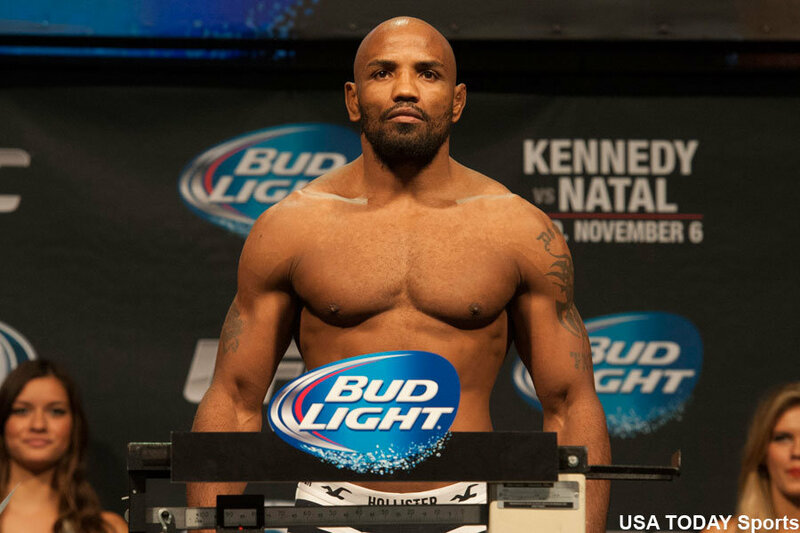 Yoel Romero missed weight by .2 lbs. A bitterly close miss to say the least, made even more painful when you find out his allotted two hours to re-weigh after a failed first attempt were cut short. The commission – in their infinite wisdom – apparently decided it was too risky to let Romero continue his cut, despite disagreement from present medical professionals. To be fair, when “the Soldier of God” eventually stepped onto the scales for the second time, he didn’t look unlike a corpse. Whatever the case, the fight commenced without a belt on the line, remaining the five round main event. An uncharacteristically pissed off Robert Whittaker definitely added plenty of fuel to the fire. It’s hard to blame the champ for his anger, as Romero had missed weight for his previous interim title fight against Luke Rockhold in February. Some quick maths will tell you that’s two title fights in a row where Romero has missed weight. Yet, people were saying that if he beat Whittaker he deserved another shot at making weight and fighting for the belt. At the time I thought this was madness. Then the fight happened. Whittaker vs. Romero 2 was nothing short of spectacular, with plenty of back and forth and near finishes. It had everything you look for in a UFC main event. Romero dished out copious amounts of punishment with his more reserved and efficient fighting style. He dropped Whittaker several times throughout, and dominated him in the fifth. Strangely the lack of title stakes somehow added more drama, or at least a different kind of drama. Romero was all over the champ at times, but no matter what happened he wasn’t walking away with a big gold UFC belt. It was tragic, and I couldn’t look away. The final bell rang to a well-deserved standing ovation from the crowd; a fight of the year contender for sure. They was plenty from each fighter to be impressed by: the dichotomous patience and aggression of Yoel Romero, and the supernatural resilience of Robert Whittaker. “The Reaper” withstood numerous salvos from Romero that would have ended the night for many high level fighters. Now the moment of truth – would Romero’s effectiveness have been for naught, or would Whittaker be walking away with a belt and an L? Despite my hyperbolic account of Romero’s success in the fight, it was extremely close, with Whittaker controlling for greater portions of the 25 minutes. As such, the split decision went his way. To call this controversial would be an understatement. Joe Rogan essentially said on air he didn’t understand the decision, and many members of the online MMA community shared his sentiment. It’s a tough call, and I personally would have called it a draw, but that’s not what I’m here to discuss. There’s plenty of technical analysis out there to sink your teeth into. I’m more interested in this weird hollow feeling I’ve got. Whittaker beat Romero twice, back to back, and Romero missed weight in his last two fights, leading to talk of him moving up to light heavyweight. On paper, it’s over. But the story doesn’t feel over – we haven’t got closure. Romero learned a lot from his prior loss to Whittaker, and has performed very differently in his last two fights, leading to what many thought was a win over his rival. Whittaker may have gotten the nod, but to many, myself included, it wasn’t decisive. Neither man was able to definitively prove their superiority over the other, and the simple rules of storytelling would dictate a third act. Whittaker isn’t interested, and I don’t blame him. I don’t plan on fighting Romero once, let alone three times. But, from an audience perspective, a third clash lines up with everything we understand about the sport on an emotional level. Does the fight need to happen? No. That’s the beauty of sports, they’re a playground for organic storytelling. When something special happens, it means so much more than if it was planned. Just look at the career of Michael Bisping. A story over a decade in the making, thanks to that man’s heart, we were able to see true underdog resolution play out in real life. And that’s the key word, “real”. When Leicester City F.C. won the premier league, it was hard not to be taken by the story. Even as a non-football fan, it was difficult to ignore. The shock victory was omnipresent in England for a while, described by the BBC as “one of the greatest sporting stories of all time”. Leicester natives celebrated in the street when their beloved football club secured the upset. Why? Because it was real. It wasn’t meant to happen, like many things in life aren’t meant to happen, but it did happen. It may never happen again, but it happened once, and people will remember it. If Whittaker and Romero never find themselves locked in a cage again, well that’s life. Maybe Whittaker will fight Gastelum or Weidman and lose. Perhaps Yoel Romero simply can’t make 185 at his age anymore. The UFC might not take the risk of booking Romero in another title fight. All possible. But, what if Whittaker can hold onto the title, and what if Romero can make the weight? What if we get another legendary trilogy for the history books, and most importantly we get closure, resolution to this story? Wouldn’t that be something?